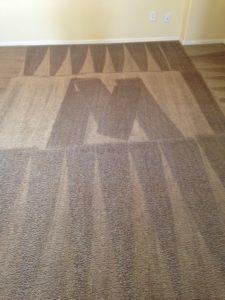 We started Mustang Carpet & Tile Cleaning in October 2006. My father- in-law brought Stanley Steemer to Arizona in 1980. His sons ran the business. He sold it in 1994 and retired. One of my brothers-in-law continued in the business under another name. He needed help and I jumped on board. I was fortunate to learn a lot of good information about the business from my father-in-law. And all the do's and don'ts from my brother- in-law. 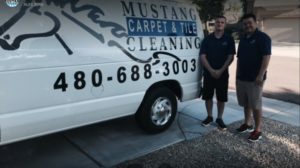 As the old saying goes, the only ship that doesn't sail is a partnership, so one year after working with my brother-in-law, I went into business for myself as Mustang Carpet and Tile Cleaning. Everyone said "That's not a good name for the type of business you are doing. It should have the word steam in it!" I disagreed. I'm a talker. I love Mustangs. I have a classic Mustang myself. My father was the original owner. I also have a Mustang model car collection. 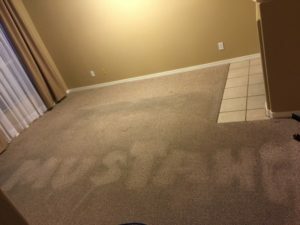 With new customers, I always manage to bring up the subject of Mustangs. If anyone ever forgets our company name, they usually tell me "That's how I remembered it! You're the Mustang guy!" And to prove my first point, look up all the carpet and tile cleaning companies with the word “steam” in their name. Easy to lose customers to another company when they forget the exact name. So after parting ways with my brother-in-law, I had zero customers. I was determined to make it on my own. I literally walked my neighborhood, door to door, introducing myself and my business. I met a lot of great people. That led to having neighbors as customers and then they referred their friends and family to me. I did this for months. Along the way I met a neighbor who told me about referral groups. I had never heard of this type of marketing for a business. I went to a BNI group, joined that and then had my wife join several other referral groups. We don't do any other advertising, our work speaks for itself. All of our business has been generated by word of mouth and that's what I am most proud of. It's my son and I that do all the work. My wife, Sheri, answers phones and sets up appointments. We are very literal when we say "We clean like it's our own!"